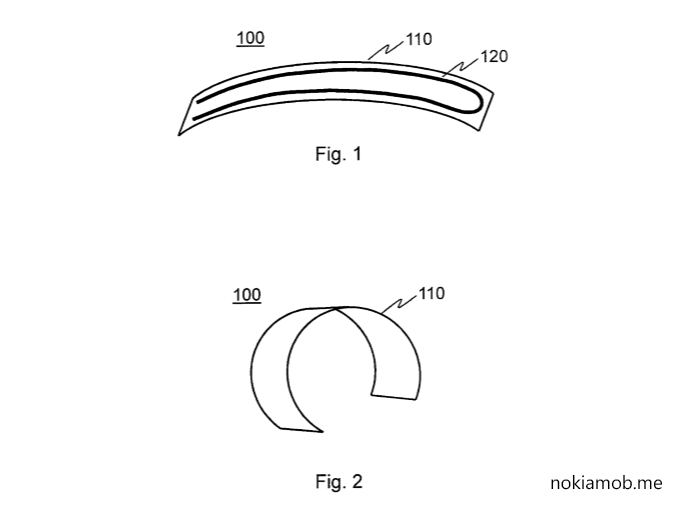 Nokia Technologies, part of Nokia responsible for patents, Ozo, Withings, and brand licencing, was granted a patent called ‘Wearable Electronic Device’ with publication number US2016/0210826A1. 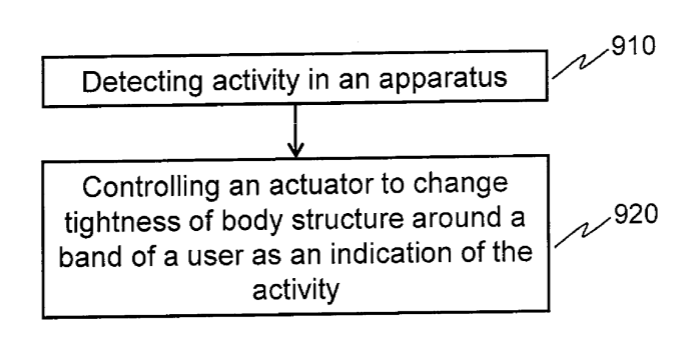 The patent describes a wearable device that adjusts the tightness of the body structure of the device around a user’s body part. It regulates the tightness around hands based on activity. This technology could allow more comfortable wearable devices, because some people find hard to find the right amount of tightness that fits them best. It could also simplify using the wearable when doing activities, because every smartwatch when measuring heart rate suggest that the band should be tight around the hand. Whatsapp for Nokia 8110 4G reportedly in development? !